This is the only small appliance that I leave out on my counter, because I use it daily for food prep. This is a handy size for small-batch blending like this dressing. I use it regularly for chopping garlic, onions, ginger, etc. These versatile little pitchers are perfect for serving dressing, gravy, syrup and sauces. These make it so easy to drizzle on just the right amount of dressing. 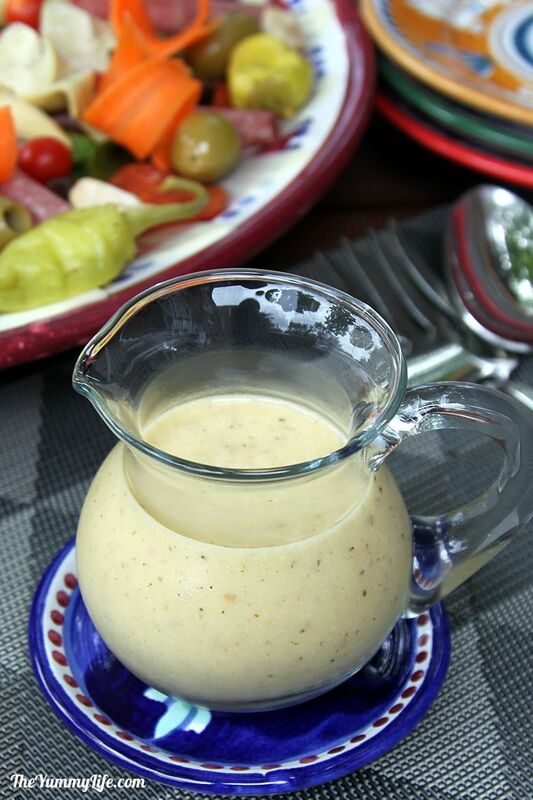 They hold 8 oz.--the perfect size for 1 batch of this dressing. This is a convenient option. Measure, mix, store, and pour from this one container. 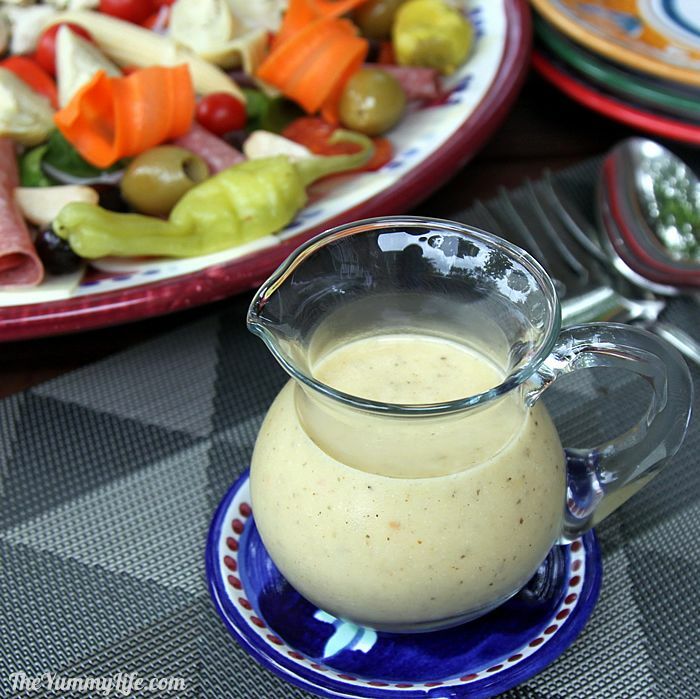 This is a delicious all-purpose dressing for salads, antipasto, and sandwiches. It also makes a great marinade for veggies and meat. To a blender or food processor, add all ingredients except oils. Blend until well combined. With motor running, add oils through lid opening in a thin stream; continue blending until well mixed. To a medium bowl, add all ingredients except oils. Whisk until combined. Continue whisking rapidly while adding oils to mixture in a thin stream; keep whisking until uniformly mixed. SERVING TIP: If it's too thick out of the fridge, let it rest at room temperature for 15 minutes or so, give it a good shake or stir, and it should be ready to serve. Based on recipe by Monica's mom, Pat. This easy, all-purpose dressing is a family favorite and regular staple in our fridge. Many years ago my mom created this recipe for an Italian restaurant that she managed. It was so popular there that guests often bought extra salad dressing to take home. I've tweaked the recipe slightly and scaled it down for use in a home kitchen. It's easy. In under 5 minutes you can whip up a quick batch of this in a blender or small food processor; or, you can simply use a bowl and a whisk. No mystery ingredients. Not only does this taste better than the store bought bottled dressing, but there aren't any fillers or mystery ingredients that you can't pronounce. When it's this easy, why not make your own? 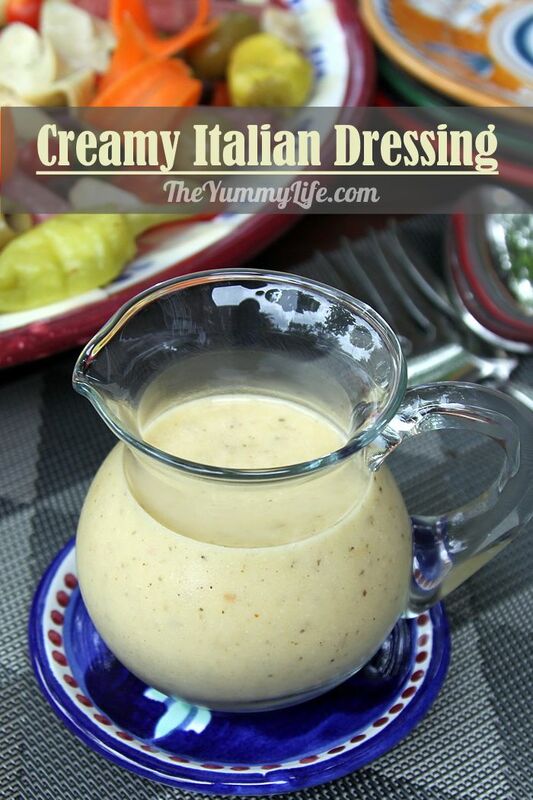 As a dressing....This is a go-to dressing for salads and antipasto, and it's also awesome drizzled on sandwiches. When summer tomatoes are in season, I drizzle this over a plate of sliced tomatoes sprinkled with chopped fresh basil for an easy side dish. 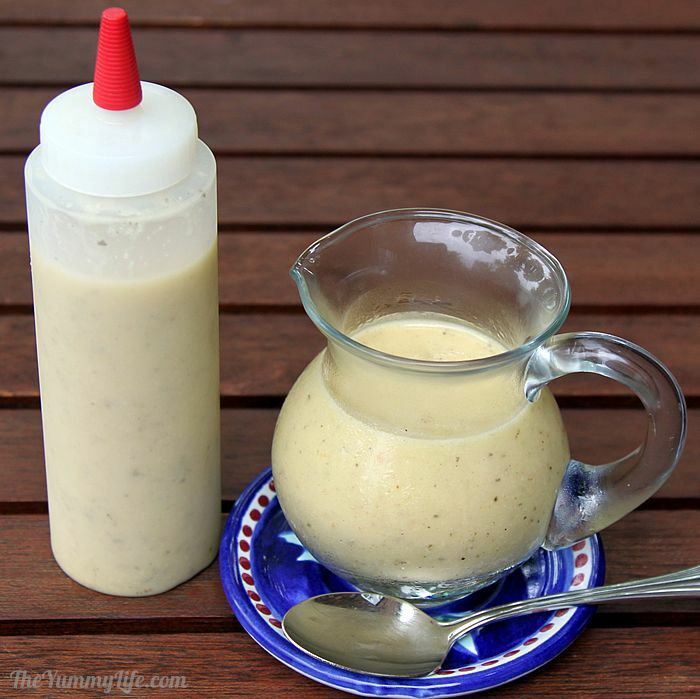 As a marinade....Use this dressing as a tasty marinade for veggies, chicken, beef or pork. Because it has acids (vinegar and lemon juice), meats shouldn't marinate longer than an hour--long enough to add flavor to the meat, but not long enough for the acids to compromise texture. If you use it to flavor shrimp or fish, brush it on right before cooking--they are too fragile to soak in an acidic marinade. Step 2. 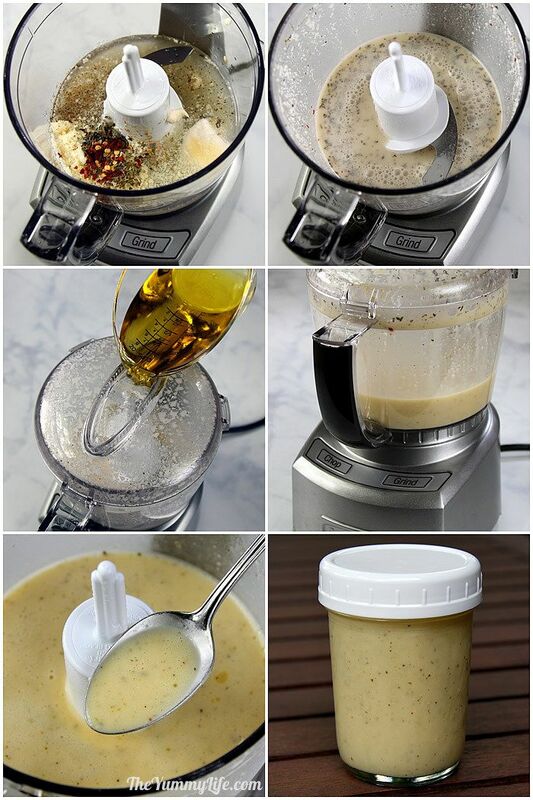 Blend the dressing ingredients using one of these methods. All 3 methods work, but the blender method results in the most stable, long-lasting emulsion. BOWL & WHISK METHOD: To a medium bowl, add all ingredients except oils. Whisk until combined. Continue whisking rapidly while adding oils to mixture in a thin stream; keep whisking until uniformly mixed. JAR or SALAD DRESSING SHAKER METHOD: Add all of the ingredients to the jar or shaker, cover tightly, and shake vigorously until ingredients are uniformly mixed. It's a bit harder to emulsify the mixture this way, but if you shake vigorously and long enough, it will work. However, the emulsion won't be as stable and long-lasting as the other methods. Done! 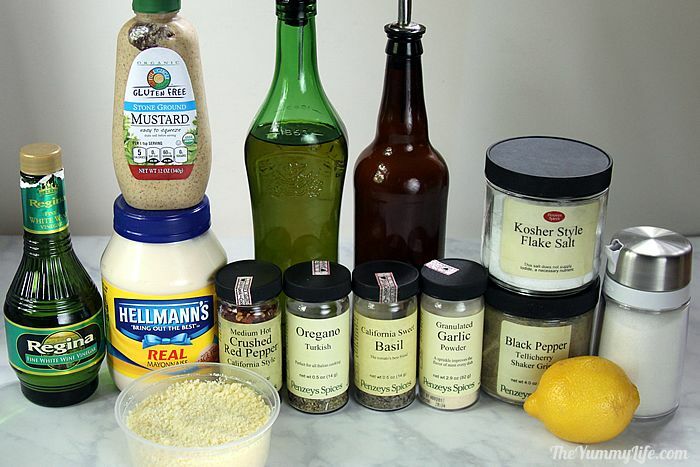 When you can make salad dressing in under 5 minutes, why buy the bottled stuff at the store? SERVING TIPS. If the salad will be eaten right away, I prefer to toss the salad with dressing before serving it so the greens get evenly coated. But, if the salad won't get eaten for awhile, the dressed greens will go limp if they sit too long. That can be prevented by serving dressing on the side in a small pitcher so everyone can to drizzle however much they want onto their salad. Plastic squeeze bottles may not look as elegant, but they're another very convenient way to dispense salad dressing while making it easy to control the amount of dressing that is released from the bottle. STORAGE TIPS. Store the dressing in a mason jar, shaker bottle, or squeeze bottle in the fridge for up to 1 month. If it's too thick out of the fridge, let it rest at room temperature for 15 minutes or so, give it a good shake or stir, and it should be ready to serve. 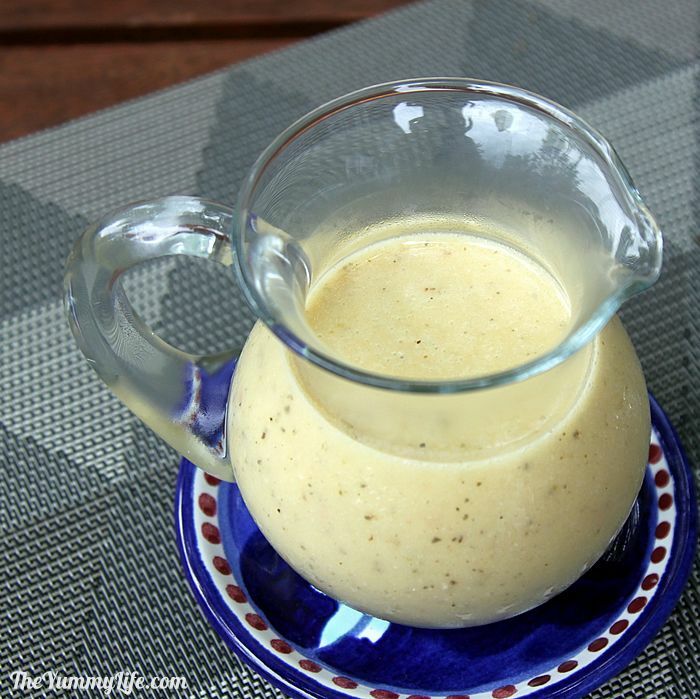 Find more salad dressings in the recipe index.